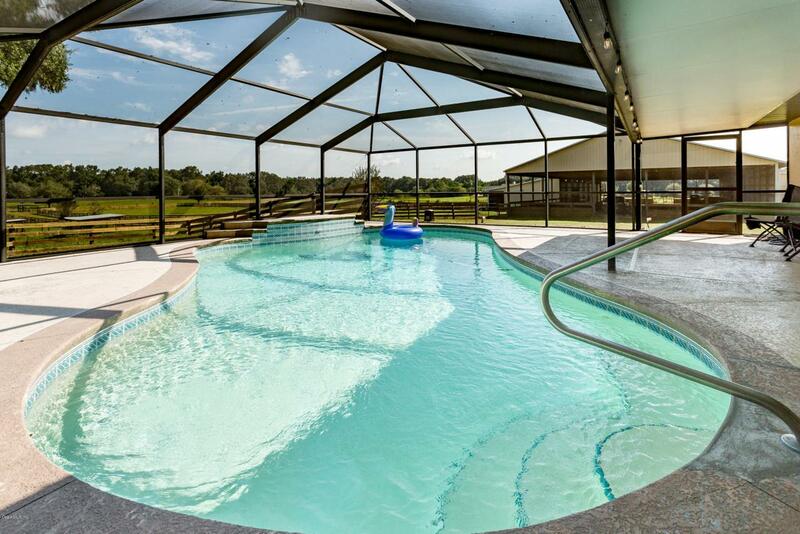 BELOW APPRAISED VALUE - COVERED ARENA with attached barns, NEW FENCING and HOME WITH A POOL. This nearly 12 acre farm has the PERFECT layout! Both the HOME AND BARN just finished EXTENSIVE RENOVATIONS! NEW FOUR BOARD + TOP BOARD FENCING with NO CLIMB in every pasture/paddock + ALL NEW GATES! Electric gate entrance, large barn that boast a 204' x 60' COVERED ARENA with barns on each side that have automatic waters, fly spray system & custom stall fronts. 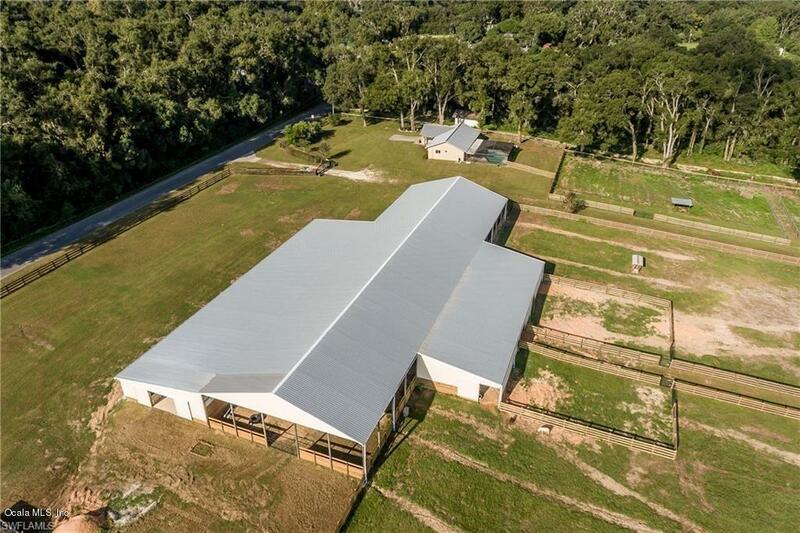 South barn 36' x 144' offers: office area, feed room and two additional rooms (plenty of space for a barn apartment) 8 full size 12 x 12 stalls and 10 pony stalls (or convert to 5 large stalls. North barn 32' x 96 and has 8 8 x 12 stalls and two 24 x 32 (run in/stalls) at each end that open to two large paddocks. Total of 9 turn out locatioTotal of 9 turn out locations. 3 bedroom 2 Bath home newly painted walls/ceilings and new trim with the rustic wood TILE floor throughout and great split floor plan. LOCATION- west of US 301 and less than 5 minutes to Peterson & Smith Equine Reproduction center and you can be in downtown Ocala, Florida Horse Park or shopping for groceries at Fresh Market in the Villages all within 15 - 20 minutes or less! Listing provided courtesy of The Brian Cox Team of New Millennium Realty.